Dr Pepper is the fuel for college football fandom, and its new marketing campaign for the 2018-2019 season – Fansville – is a parody TV show drama that captures the emotional rollercoaster of college football fandom. The episodic-like campaign, created by Deutsch, tells the stories of passionate fans in a fun and humorous way through recognizable characters such as Brian Bosworth, Eddie George and Les Miles. 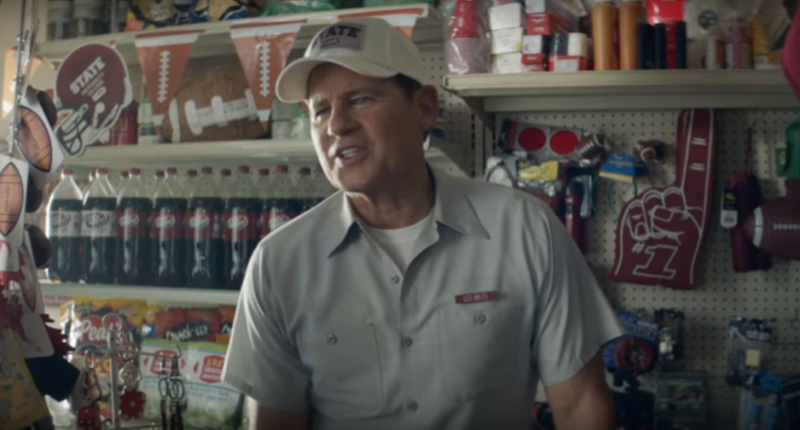 Dr Pepper premieres the first of its six 30-second campaign spots on Monday, August 27, with others airing throughout the college football season on ESPN, CBS and FOX. Directed by 10-time Emmy Award nominee Jonathan Krisel, the series celebrates the unpredictable highs and lows of college football fandom, and the dramatic twists and turns of the season. In Fansville, where college football and Dr Pepper are tantamount, people will say and do anything to prove their fandom. Whether a surprising twist or a whodunnit cliffhanger, each installment of Fansville builds anticipation for the next. Additional plots will be presented exclusively on digital and social media. We’ll see how fans respond and how this campaign works out for Dr. Pepper, but it’s certainly a different and interesting approach. And bringing in the likes of Bosworth, George and Miles says a fair bit about how much they’re investing in this.